90% of recent graduating residents have gone on to subspecialty training, with more than half entering academic careers. 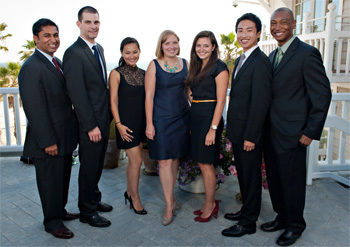 The great majority of chief residents receive their first choice among fellowship programs. The interests of our graduates have encompassed the entire range of general surgery subspecialties. Eligibility: USMLE Step 1, Step 2 CS and Step 2 CK (Step 2 must be completed prior to starting internship); graduation from an accredited US or Canadian Medical School, or valid ECFMG certificate plus eligibility letter from the California Medical Board. Applications: are made through the Electronic Residency Application Service (ERAS). We require registration with the National Residency Matching Program (NRMP), curriculum vitae, USMLE Step 1 score, 3 reference letters, and dean’s letter.